The HTC is the best electronic manufacturing company in the world. The company has many offices in the world including in India. The HTC is a world class mobile phone manufacturer. The company has launched many stylish phones in India. The HTC Company has launched a new dynamic model and that is New HTC Desire Z. the New HTC Desire Z price in India is around Rs 25,590. The New HTC Desire features are simple and sober. The mobile is having internal and external memory with good capacity. The MP3 and MP4 player is also available in the handset. The New HTC Desire Z is having attractive looks and design. The mobile is available in stylish black color. The New HTC Desire Z is having good display screen with attractive camera facility. The unlimited phone book and call records facility is also available in the mobile phone. The instant messaging and T9 input facility is also available in the New HTC Desire Z with SMS, MMS and email facility. The New HTC Desire specifications are simple mind blowing and dynamic. The mobile phone is built by aluminum casing brilliant body. The mobile is having 3.7 inches display screen with 480 x 800 pixels resolution display facility. The mobile is well enabled with 5.0 Mega pixel camera with auto focus and Geo tagging features. The resolution of the camera display is 2592 x 1944 pixels with LED flash and face detection facility. The New HTC Desire Z is powered by 2.2OS Android and 800 MHz processor. The weight of the mobile is 180gm. The handset is having 1300 mAh standard battery with standby up to 430 hours and up to 6.40 to 9.30 hours talk time facility. The dimension of the mobile phone is 119 x 60.4 x 14.2MM. The New HTC Desire Z is having 1.5GB internal memory and up to 32 GB external memory with 512 MB RAM facility. 3G, GPRS and EDGE internet browsing facility is also available in the handset with WAP and HTML browser option. The stereo FM radio with recording facility is also available in the handset with 3.5 MM audio jack facility. 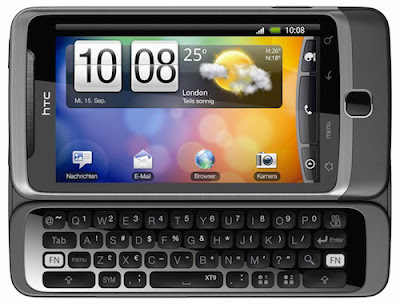 The New HTC Desire Z is having QWERTY keypad facility with accelerometer and proximity sensor options. The New HTC Desire Z reviews are available in the internet. 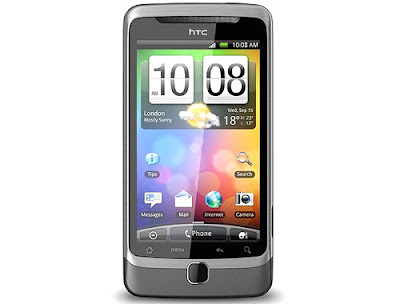 HTC Desire pictures are also present on the internet. The mobiles are supposed to get good feedback from the Indian market. The performance of the mobile is very nice.